The Mission of the Central Oregon Beekeeping Association (COBKA) is to promote effective, economic and successful regional beekeeping through education, collaboration, communication and research in the spirit of friendship. 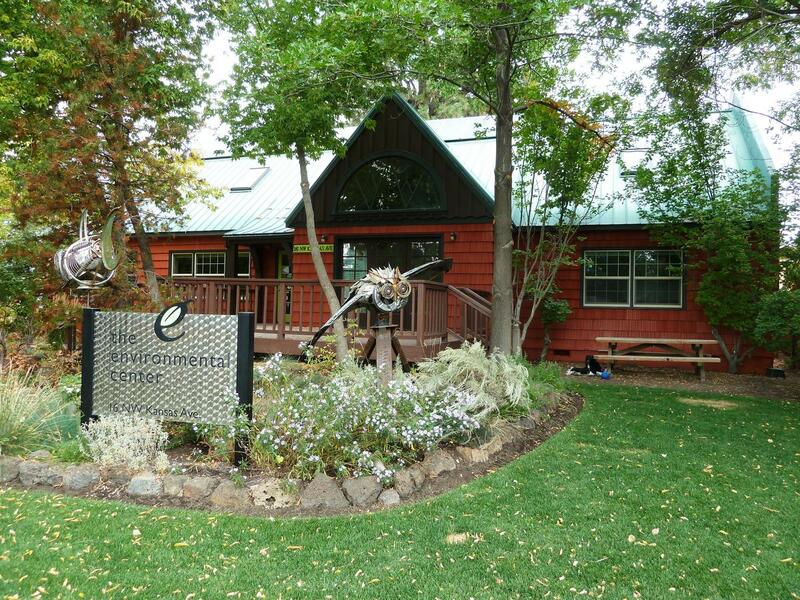 We meet on the fourth Tuesday of most months at the Bend Environmental Center. Aaaah, you’ve made it through the winter (at least most of your hives, hopefully). For those hives that made it, we’ve started seeing some pale pollens early in the month with brighter colors later. You’ll also start seeing some of the fruit trees towards the end of the month. Things to think about for your hives: If you have Langstroth hives, the bees frequently “eat themselves up the hive.” You’ll find the bottom box nearly empty of bees and stores, and everyone and everything in the top box. If the cluster, or brood chamber isn’t spanning the upper/lower box joint, I generally swap the boxes, bottom to top and top to bottom, so they can expand from the bottom. If you have a long hive, Top Bar or Warre hive this isn’t as much of an issue. This is also a good time to look at culling out old dark comb while it is empty of bees and honey. If you have any deadouts, this is a great time (if that’s not an oxymoron I don’t know what is) to clean them out. Do a postmortem to figure out probably why they died. Get rid of the diseased stuff, clean out the dead bees, old and damaged comb and repair or replace damaged woodenware. A deadout is also a good time to cull old dark comb. Remember the lessons learned during the post-mortem to reduce your losses and hopefully have healthier bees next year. Keep in mind, your bees are animals, like your dog, horse or you. They need food and water to survive and thrive. 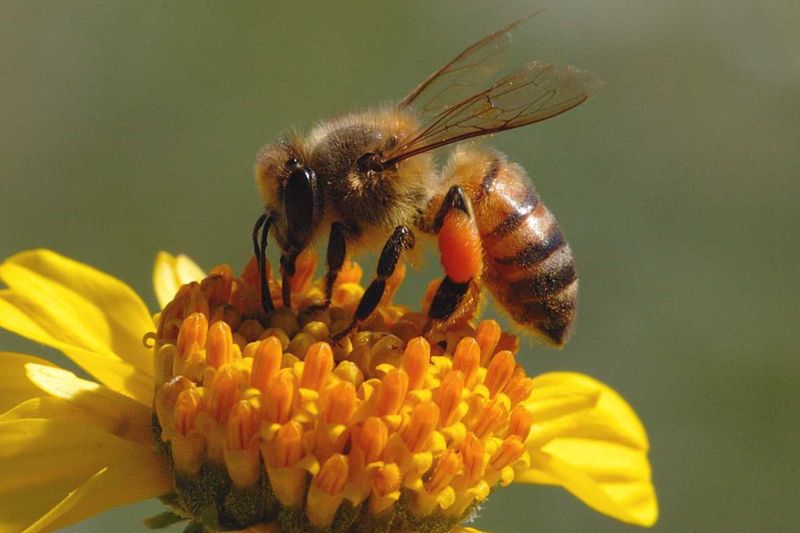 Their food consists primarily of carbohydrates (honey and nectar) and protein (pollen). The available food in April, in Central Oregon can be very spotty, in time, location and type. The first food we see was the willows, maples and snowdrops back in March (primarily pollen). Then in early April, we get some more bulbs like daffodils and crocuses (also primarily pollen). Finally in late April we get some fruit trees (plums mostly) which provide nectar. Once the nectar starts coming in, the raising of brood starts off in earnest. If you’ve been following this line of thinking, you’ll notice that your bees won’t start the big push for population increase until the end of April. Since we have a relatively short summer season many beekeepers in Central Oregon will provide prophylactic, or supplemental feeding during April, to spur the population to increase before the majority of fruit trees bloom. This feeding frequently consists of 1:1 sugar solution and a pollen substitute. The 1:1 sugar solution stimulates brood rearing (vs the 2:1 or 3:1 ratios used in late summer and early fall to “fatten them up before winter” which doesn’t). Some people like to add adjuncts (essential oils of peppermint, chamomile tea, lemon grass or commercial ProHealth kind of solutions in very dilute quantities) to encourage the bees to take up the syrup. The pollen substitute provides additional protein to the natural pollen they are bringing in. Please read the discussion by Dr. Ramesh Sagili to our club last year on the efficacy of artificial pollen substitutes vs natural pollen in longer term brood rearing. WARNING, if you do start supplemental feeding, continue the feeding until natural forages are available. The bees will start raising brood, and if you stop feeding without natural food, you’ll have a good probability of starvation. Finally, if you haven’t yet, you should think about mites. Do a mite count. Remember that as the bee population is increasing, the mite population is as well. Eventually, the mites usually win. Now is a good time to give your bees an advantage. On our website, www.cobeekeeping.org, under links, Check out HBHC Tools for Varroa Management for approved and recommended methods, cautions and reasons for the various mite treatments, but this time of year, I generally treat with Oxalic acid if the mite levels are higher than 3%. Good luck and enjoy the change in seasons. We are a diverse bunch of individuals who share a fascination for the honey bee and its workings. Our members range from full-time beekeepers and pollinators with hundreds of hives to hobbyists involved in backyard beekeeping. Some members do not even keep bees, but are fascinated by the six legs and four wings of Apis mellifera.